Freight shipments handled by Same Day Dispatch Services must be on a pallet, skid, or other base that can be lifted by a fork lift or pallet jack. The base must have a minimum clearance of 3-1/2 inches for access. Pallet jack entry must be possible on two sides of the base. 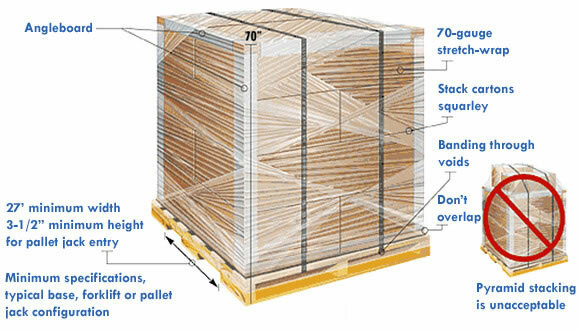 Pallets exceeding 70 inches in height, 119 inches in length or 80 inches in width require prior approval. Export/Import pallets exceeding 500 kg require prior approval. All business is undertaken in accordance with our standard terms & conditions.